If you consider lead generation to be the engine that drives your company forward, content marketing can be described as the fuel that keeps that engine running. Content allows companies to truly engage prospects and customers by providing them with useful information that will meet their needs and help them solve their problems. CMI’s research shows that leading organizations, including P&G, Microsoft, and Cisco Systems, are using content marketing to increase sales, engage in cost saving, and improve the loyalty of customers. Content marketing goes beyond pitching your product or service. It is more than filling mailboxes with promotional junk. It is about creating educational content that users are eager to share; inspiring content that will help leads conquer challenges and obtain their objectives; and unique content that will consistently turn leads into customers. Once you create such content, you can distribute it in a variety of ways. 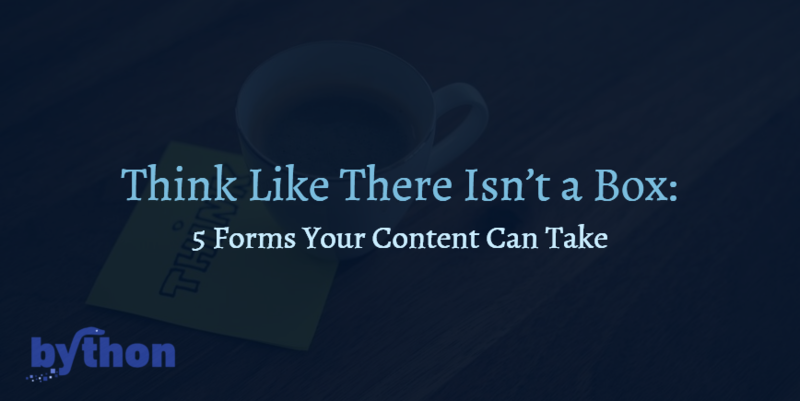 Don’t limit the distribution of your content to the standard company blog post or occasional article. Be creative. Think outside of the box. Better yet, think like there isn’t a box. 1. eBooks. 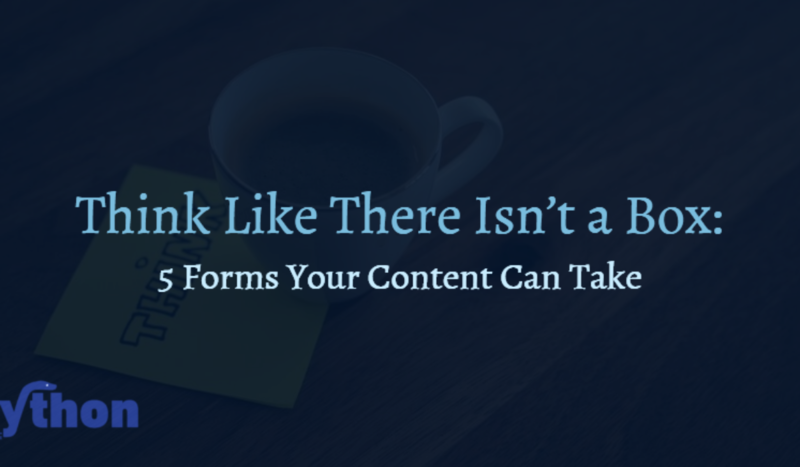 Consider “fattening” up your content by producing eBooks that will allow your company to connect with users on a deeper level. eBooks are an effective way to creatively demonstrate expertise, deliver dynamic information, help with search engine optimization, establish your company as a thought leader, and increase lead generation. Brian Carter, digital marketer and bestselling author, says eBooks “are one of the best ways to generate leads for business. The only more effective strategy is webinars, which can be more problematic and expensive.” An easy and quick way to produce an eBook is by gathering the best of your company blog posts under one title and offering it for free or for a low cost on your website or on Amazon.com. To understand the main differences between a content marketing eBook and a traditional eBook, click here. 3. Podcasts. In 2008, some were proclaiming that podcasting was dead, but in recent years, podcasting has experienced enormous growth. Serial, an investigative journalism podcast from the creators of This American Life, became a cultural phenomenon when it debuted in October 2014. Its unexpected popularity introduced millions of people to a whole new world of storytelling and proved that podcasting is alive and well. While most companies produce content in the common forms of blog posts, articles, videos, etc., very few seriously and consistently produce informational and entertaining podcasts. Content Marketer, Podcast Host and Digital Magazine Publisher Tyler Basu writes that “Hosting a podcast can help you immediately stand apart from rivals in your marketplace and position you as the go-to authority in your field.” Read his full list on why you should add a podcast to your content marketing strategy here. 4. Videos. Cisco’s Visual Networking Index predicts that global consumer Internet video traffic will account for 80% of all consumer Internet traffic by 2019. Additionally, most people prefer watching a video over reading text. Video creation service Animoto found that “4 times as many consumers would rather watch a video about a product than read about it” and “1 in 4 consumers actually lose interest in a company if it doesn’t have video.” Video is an absolute must for your content marketing strategy if you want your company to provide users what they are looking for, when and where and how they are looking for it. For additional statistics and reasons detailing why video is the future of content marketing, check out this Forbes article. 5. Visual content. As content marketing is being used by more and more companies, readers are becoming overwhelmed with text. Jazz up a lengthy description with fun, colorful visual elements that will help your content stand out and keep readers’ attention for a longer period. How important is visual content? Molecular biologist John Medina has determined that when it comes to human beings, vision trumps all other senses. When people hear or read information, they will only remember about 10% of that information three days later. But if a picture is added to that same information, people will remember about 65% of the information three days later. So, it’s safe to say that the more visual content your company uses, the more prospects and customers will remember you.